Looking for the best place to propose in NYC? 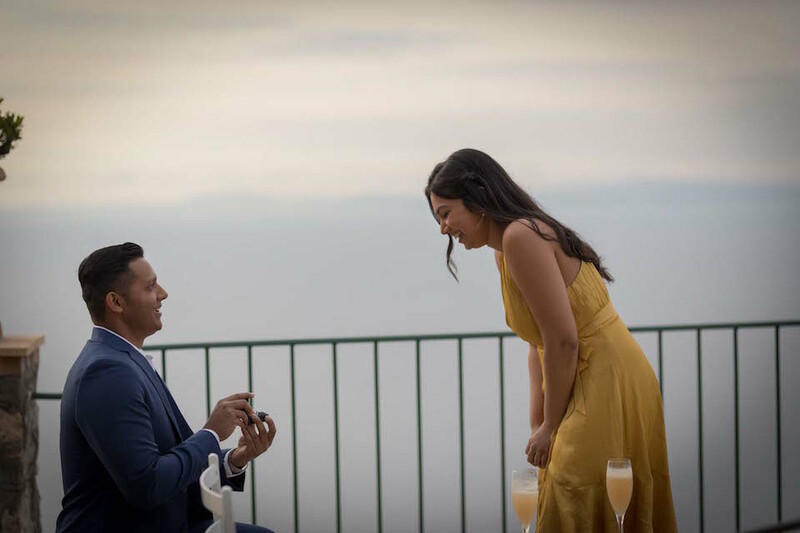 No other city in the world offers more ways to pop the question. Want over-the-top extravagance with a flair for the theatrical? Rent private ice time on the rink at Rockefeller Center and hundreds of revelers will watch as you get down on one knee. Want something a little off beat and quirky? Head to Coney Island to pop the question from the top of the Wonder Wheel. Prefer to keep things classic and just pour on the romance? 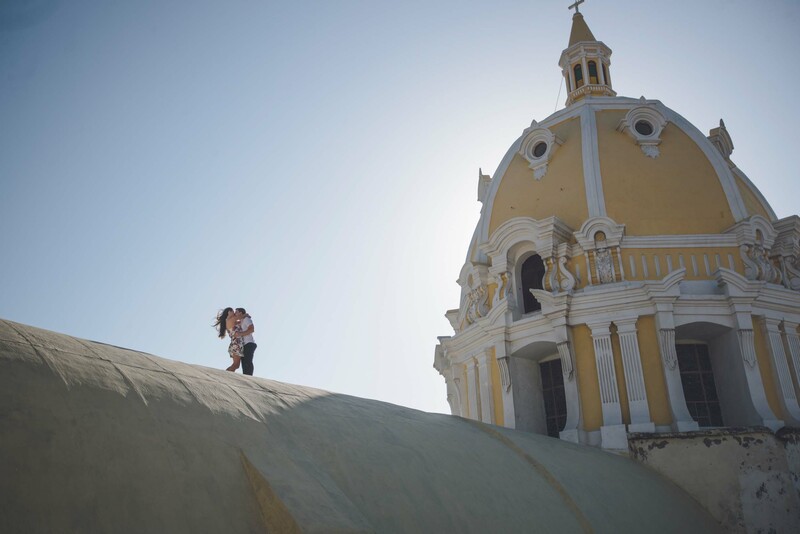 Rent a private rooftop in Manhattan and propose at sunset with the world’s most famous skyline as your backdrop. New York is a city that truly has something for everyone. 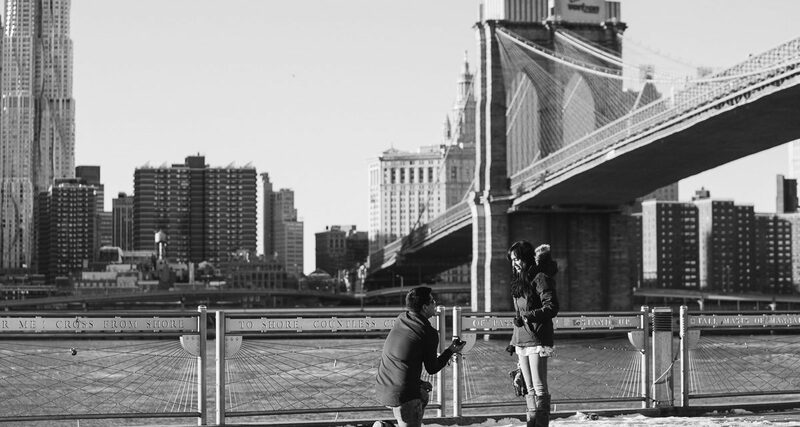 To point you in the right direction, we polled our local New York City photographers to bring you this diverse list of NYC surprise proposal ideas. Bow Bridge is perhaps the most romantic feature of Central Park. This iconic bridge crosses the famous Central Park Lake, connecting the Ramble with Cherry Hill. If you’re here during spring, you’ll be treated to the nearby cherry blossom trees in full bloom! The bridge is very popular with both locals and visitors, so expect there to be some crowds during the warmer months! Take a late afternoon stroll down the promenade in Brooklyn Bridge Park where the stunning views of the Manhattan skyline are sure to set the mood! Reserve a riverside table at the nearby River Cafe to celebrate at one of the most romantic restaurants in NYC. Finish your evening with a jaunt over the Brooklyn Bridge and share a toast with your newly betrothed in one of the city’s finest bars. The High Line is an aerial greenway on Manhattan’s west side, making use of an elevated railway that had been out of service since the 80’s. Enter at 34th street and make your way south as you enjoy unobstructed views of the city below. For perfect light, plan your proposal for sunset. The High Line is just off the Hudson River (where the sun sets), and with no buildings to get in the way, Manhattan will glow a beautiful red and orange as you get down on one knee. No NYC list would be complete without something a little offbeat and irreverent. If you want something truly different, make the trek to Coney Island, which has been home to some of the most unusual and intriguing characters in this city’s history. 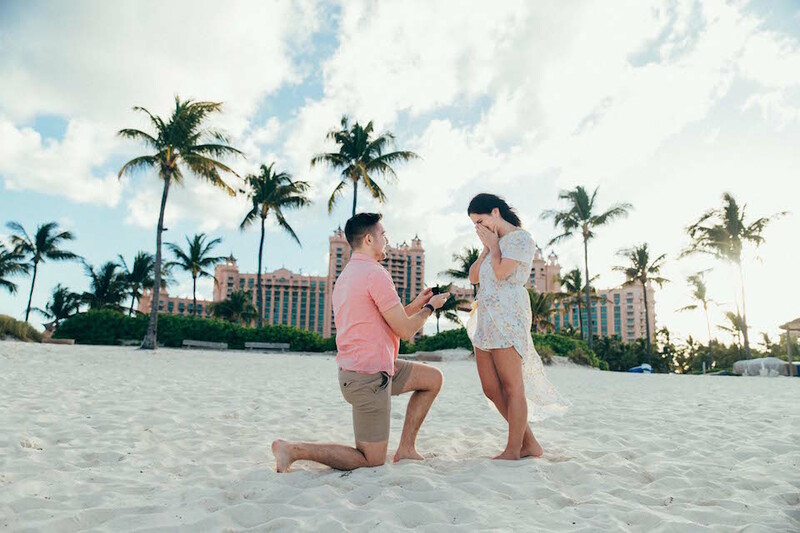 Take a ride on the Cyclone, have some fun in the bumper cars, stroll the beach and boardwalk, and end your evening with a proposal from the top of the Wonder Wheel at sunset. The lower passage at Bethesda Terrace offers the perfect frame for a surprise proposal. This tucked away section of Central Park offers a more intimate feel, though crowds are not uncommon. Take a stroll down the The Mall which leads directly to the staircase pictured above. Position yourself directly underneath the middle arch to come away with a truly timeless photo of the big moment.